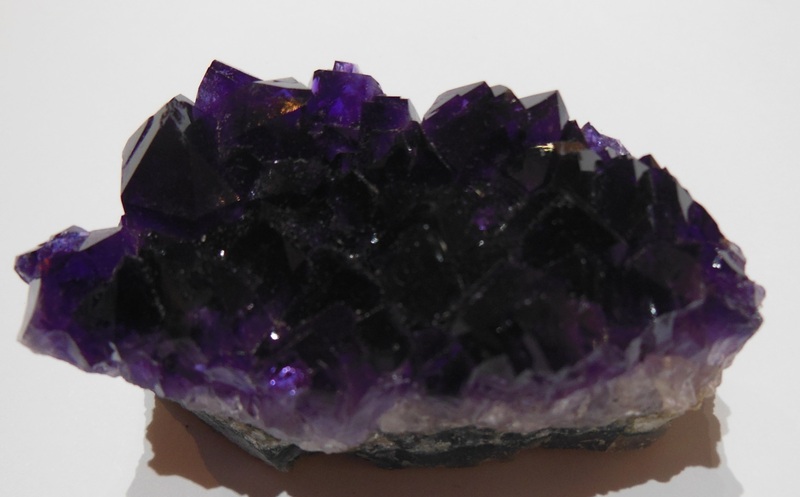 Amethyst is the purple variety of quartz and is coloured with iron. 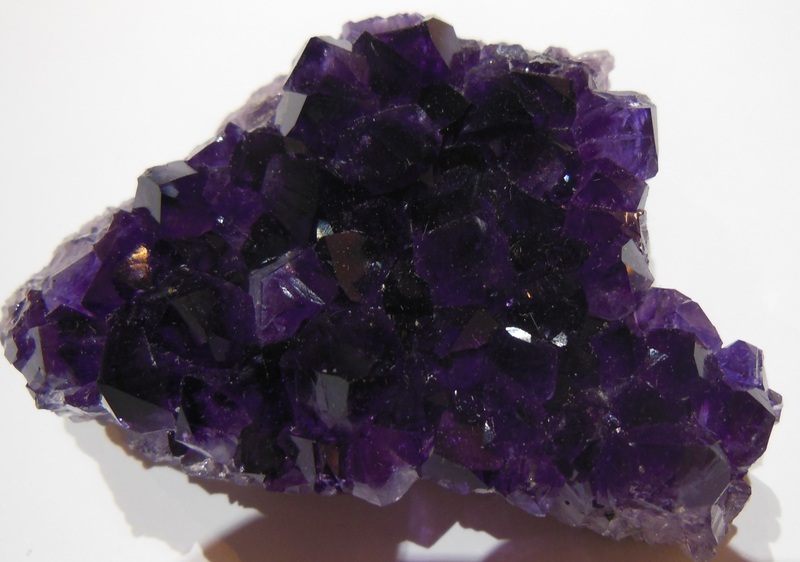 The higher the iron content the deeper the purple colouring. 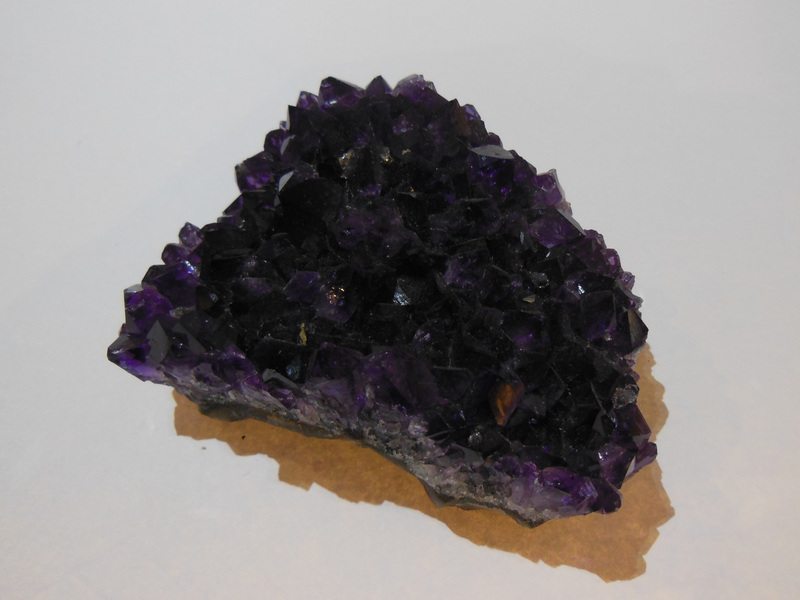 It has the same hardness of 7 as quartz and for this reason is used widely in jewellery making. 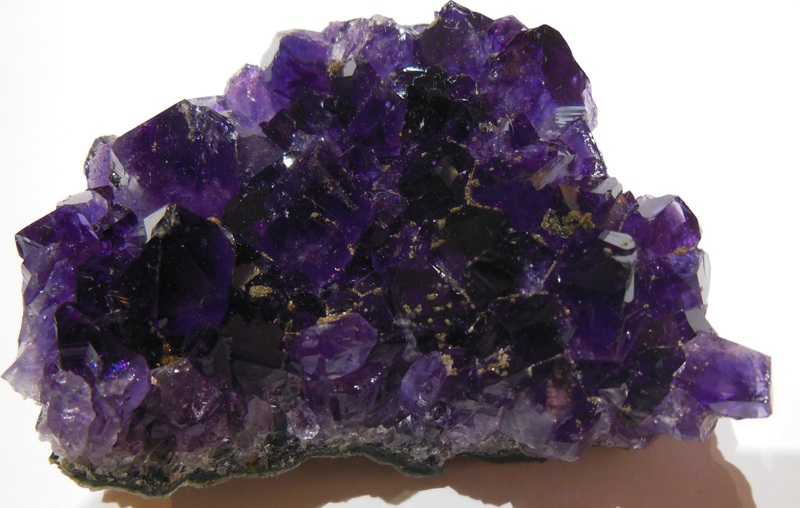 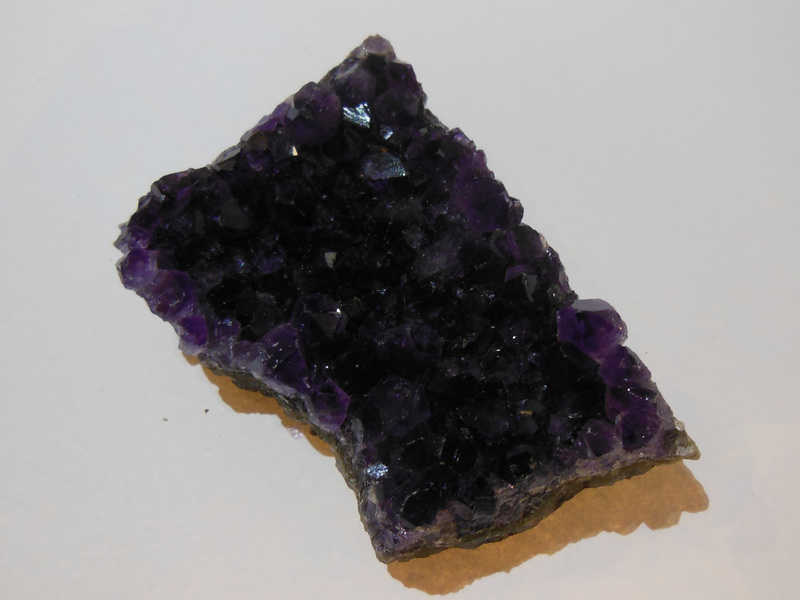 Although Amethyst can be found worldwide, the main deposits are in Brazil. 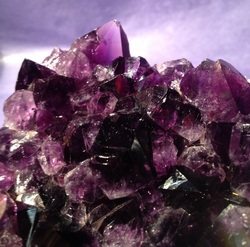 The very deep purple Amethyst come Uruguay and there are large crystals of Amethyst that come from a mine in Bolivia. 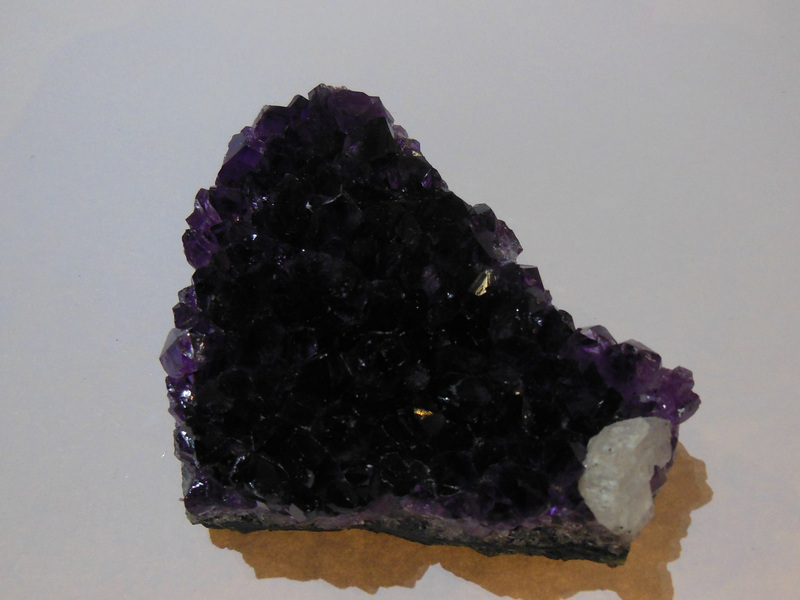 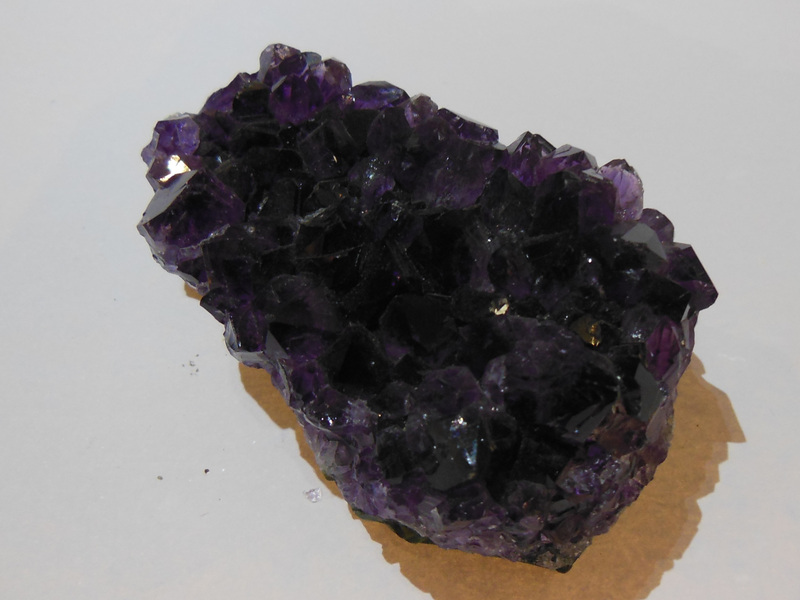 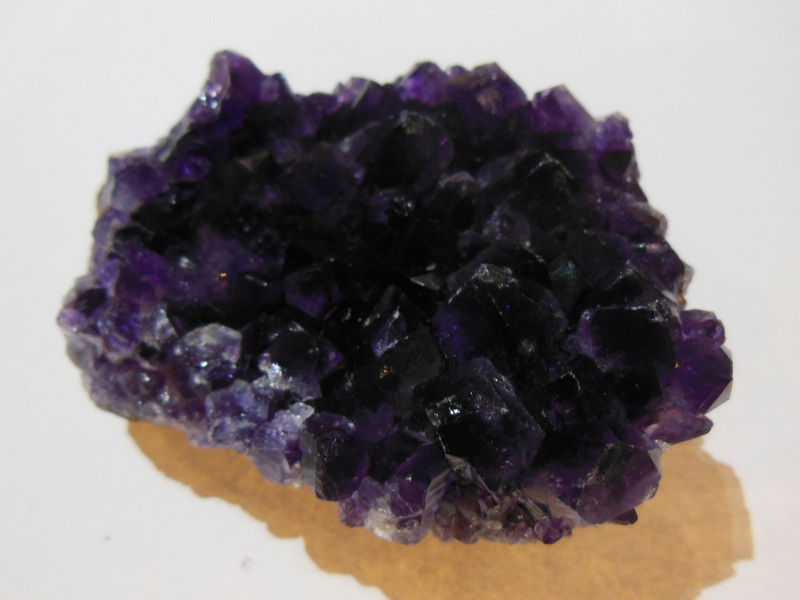 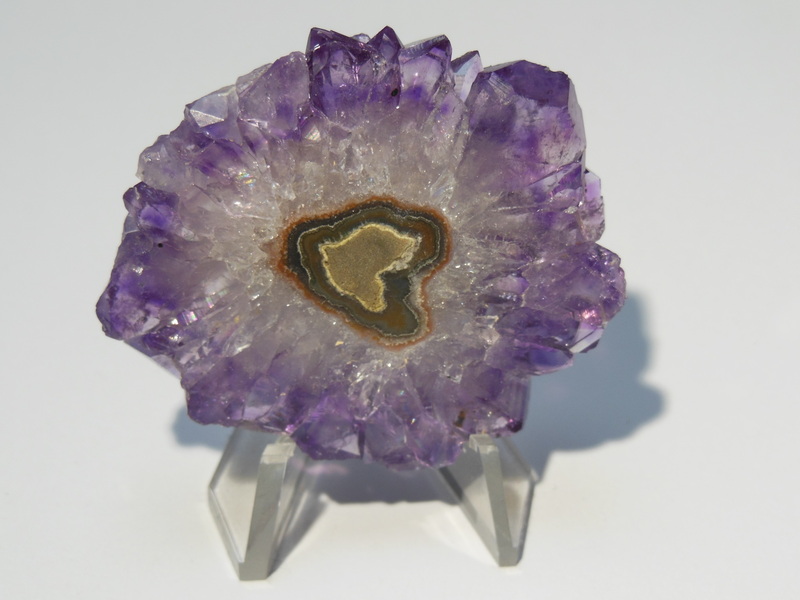 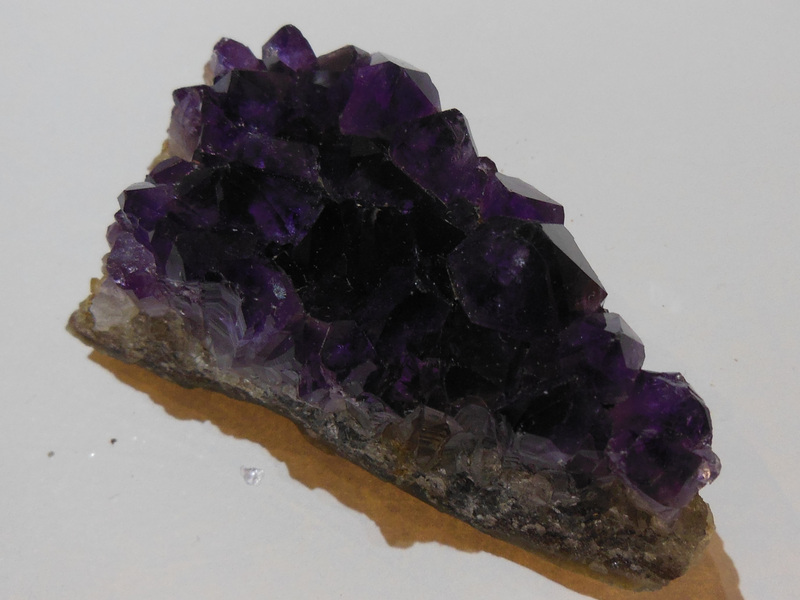 You often see Amethyst in caves, cathedrals or geodes, which are formed by volcanic activity. 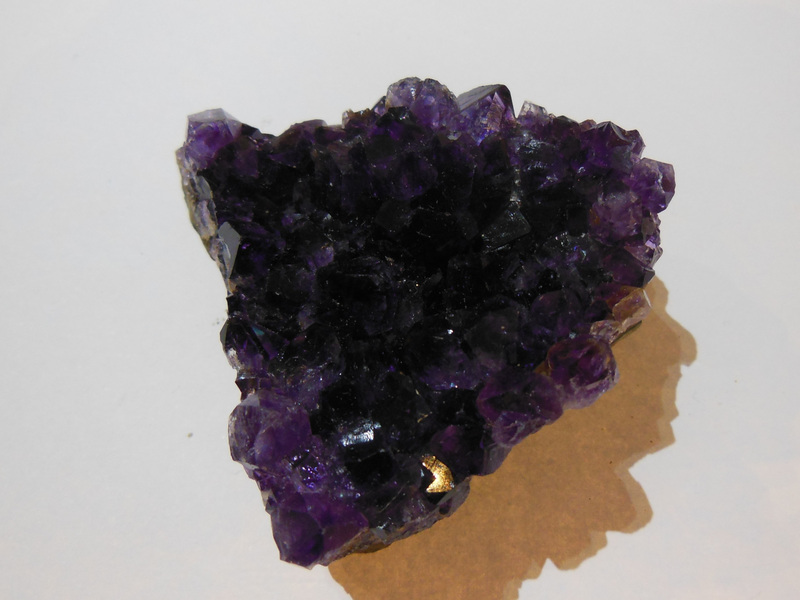 Thus areas that have seen alot of volcanic activity in the past may have beautiful crystal deposits. 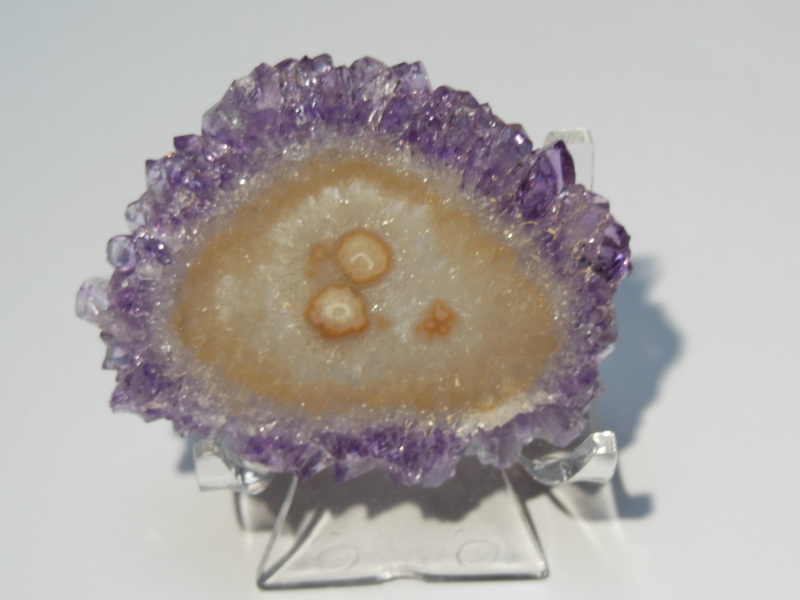 We have a large range of caves, points, jewellery, clusters, candleholders, carvings, spheres, eggs, pineapples, geodes and much more. 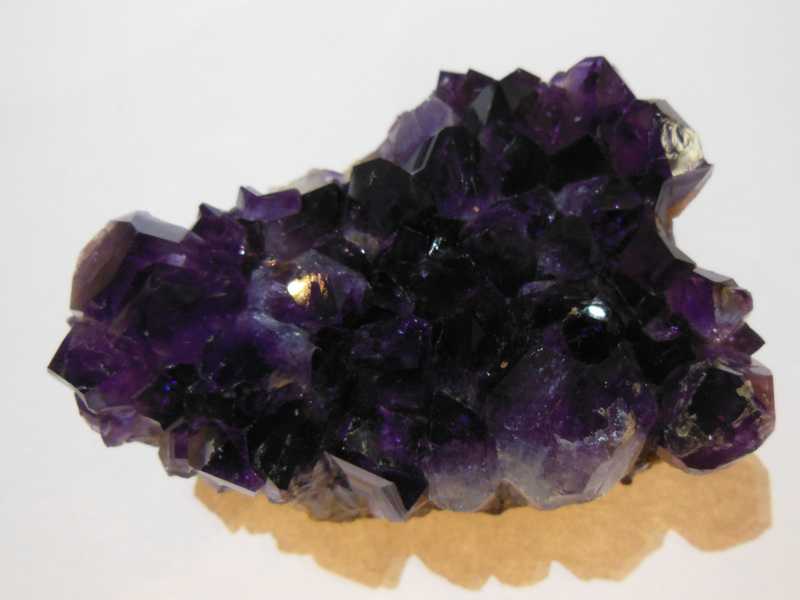 Purple amethyst is used for spiritual healing and protection, it helps develop the intuition and works with the third eye chakra. 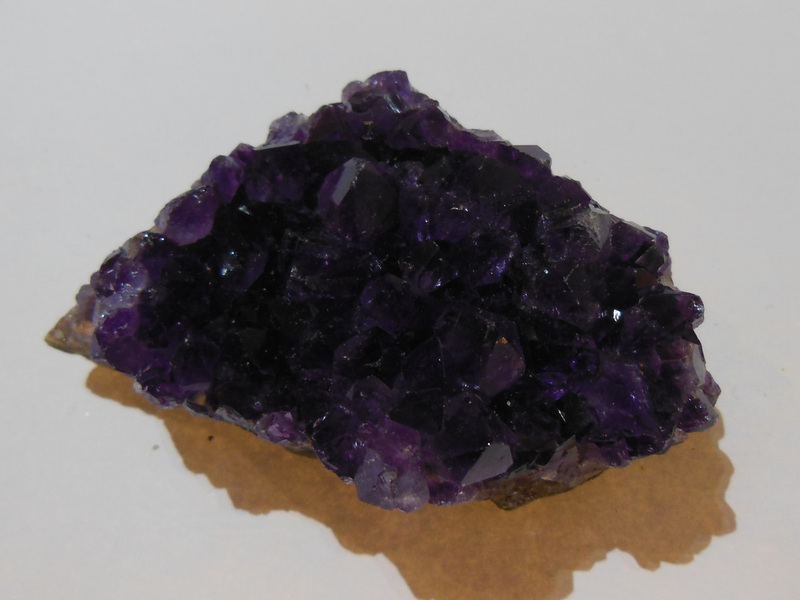 It can be used to cleanse other crystals, but does require cleansing itself.